No matter how much Clinton supporters want to deny the facts, reality keeps intruding. Over the past several months multiple media fact checkers have verified the criticism that I, and many others, have made against Clinton. Government investigations, including the FBI and the State Department Inspector General, have verified Clinton’s violation of the rules and repeated lies to try to cover-up her actions. Wikileaks provided further confirmation of actions by both Clinton and the DNC. 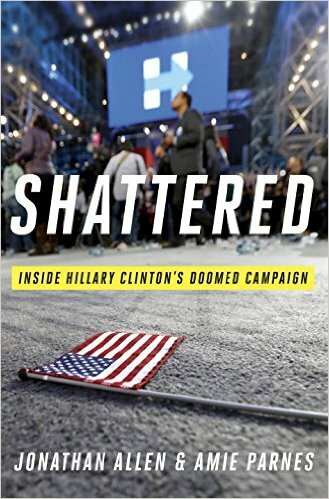 The publication of Shattered: Inside Hillary Clinton’s Doomed Campaign, which I have previously posted excerpts from here and here, provides further journalistic evidence. Also see the excerpt I have posted from Insane Clown President: Dispatches from the 2016 Circus by Matt Taibbi on Hillary Clinton. Possibly the most conclusive evidence that the criticism of Clinton was valid was how she lost what should have been an easy to win election against a candidate as terrible as Donald Trump. The post-election attempts from the Clinton camp to blame Russian influence, James Comey, Bernie and/or Stein supporters, and others is just further evidence of Clinton’s dishonesty and unwillingness to ever take responsibility for her own mistakes. So on January 12, a day after Joe Biden had praised Sanders’s “authenticity” on the issue of income inequality and said it was “relatively new for Hillary” to talk about it, Chelsea Clinton lit into Sanders as she stumped for her mother in New Hampshire. It was odd for the candidate’s daughter to become the vehicle for an attack, but the Clintons were spoiling for a fight. It was better that a charge come from someone other than the candidate, so that Chelsea’s words could be embraced or rejected by Hillary depending on how they played. The episode reinforced the idea that Clinton was running scared. It reminded Democrats that Hillary would go negative and do it dishonestly, and she had turned to her daughter to defend her. The Clinton campaign insisted that it was an unplanned moment. But when Bill Clinton did the same thing a week later, also in New Hampshire, it was pretty clear that the Clinton family still didn’t believe that the risk of a low-approval candidate attacking a well-liked one outweighed the prospective gain of drawing blood. Posted in Bernie Sanders, Bill Clinton, Donald Trump, Health Care, Hillary Clinton, Joe Biden, Politics, Scandals. Tags: Bernie Sanders, Bill Clinton, Donald Trump, Health Care Policy, Hillary Clinton, James Comey, Jill Stein, Joe Biden, Medicare, Politics, Russia, Scandals, Shattered, Wikileaks. RSS feed for comments on this post.. TrackBack URL.